On Saturday, Oct. 13, St. Peter’s Health Partners teamed with 30 other groups as part of the Eastern New York Homeless Veterans Coalition to present its annual homeless veterans stand down event at the Colonie Elks Lodge in Latham. 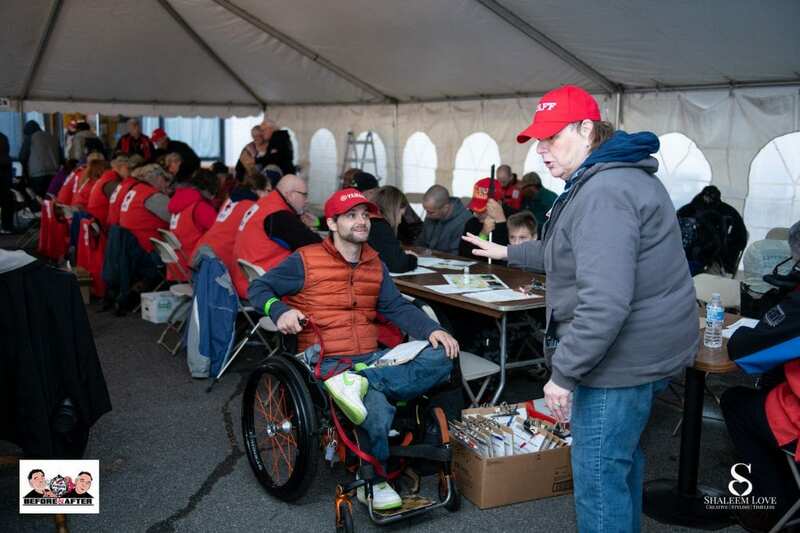 The event served 209 local veterans who are homeless or at-risk of being homeless and was staffed by nearly 300 volunteers from throughout the Capital Region. 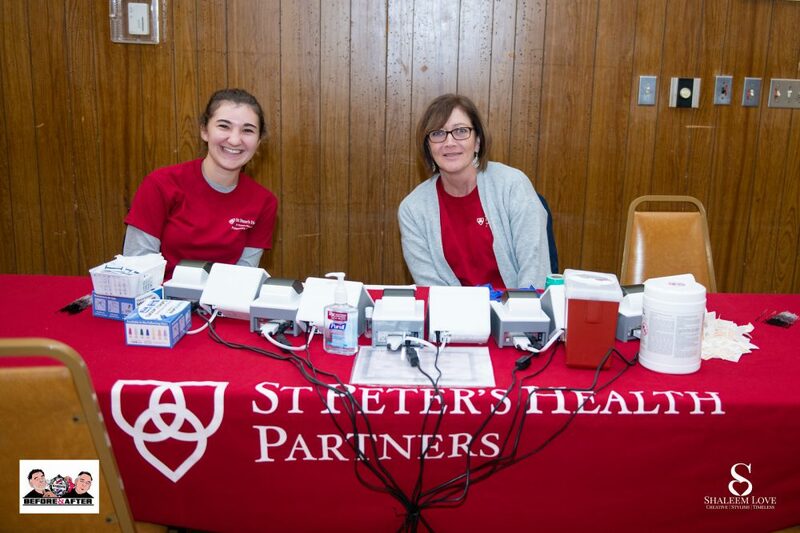 SPHP employees and students from the Samaritan Hospital School of Nursing conducted medical screenings at the event, where they identified one veteran who was immediately taken to the Albany Stratton VA Medical Center for care. An additional 47 veterans were scheduled for follow-up appointments at the center. In addition to the medical screenings, the event provided many free services and assistance for veterans including employment assistance; food; housing assistance; legal assistance; clothing; and information on programs for veterans at the local, state and national levels. A special thanks to Shaleem Love Photography, which provided photography at the event and generously allowed us to share some photos. 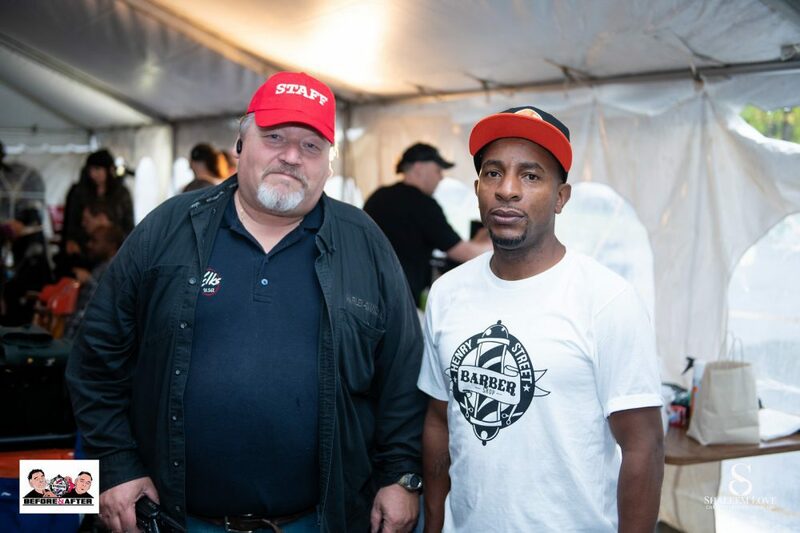 To view the complete gallery of photos from the event, including many shots featuring the staff of Henry Street Barbershop in Saratoga Springs, who provided haircuts and grooming services to all the veterans free of charge, click HERE.